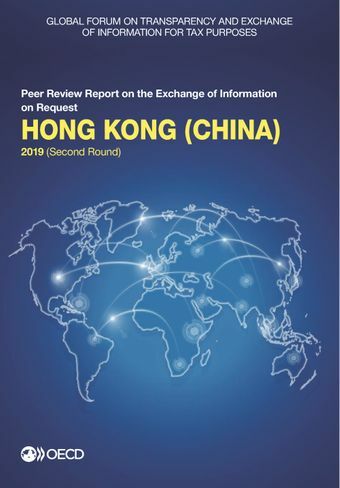 Hong Kong (China) received an overall rating of Largely Compliant in its assessment against the international standard of exchange of information on request (EOIR) handled over the period from 1 October 2014 to 30 September 2017. Its legal framework is generally in line with the international standard, notably with recent improvements made on access to information and the extensive extension of its network of exchange partners. Hong Kong (China) has responded reasonably well to the steep increase in requests for information in the review period. However, some improvements are now required to ensure the availability of beneficial ownership information on all the entities and legal arrangements and to continue to ensure that the new obligation on companies to maintain a register of significant controllers is well monitored in practice. Hong Kong should also take measures to ensure that obligations to maintain reliable accounting records by all relevant entities and arrangements (including those solely earning non-taxable income) are satisfactorily enforced.